Build your English language skills and grow your career with English for Everyone: Business, Course Book. A visual guide to learning English, English for Everyone: Business, Course Book is a complete self-study course that makes workplace language easy to learn. Everything you need is included in English for Everyone: Business, Course Book-it's a grammar book and vocabulary builder all in one. English grammar and business terms are tied into common work scenarios that are simply explained using innovative graphics, making them easy to understand. All learning is practiced across speaking, listening, reading, and writing exercises, offering rounded preparation for real-life business situations including job applications, formal e-mails, negotiation, and more. Download the free app and practice online with free listening exercises at www.dkefe.com. 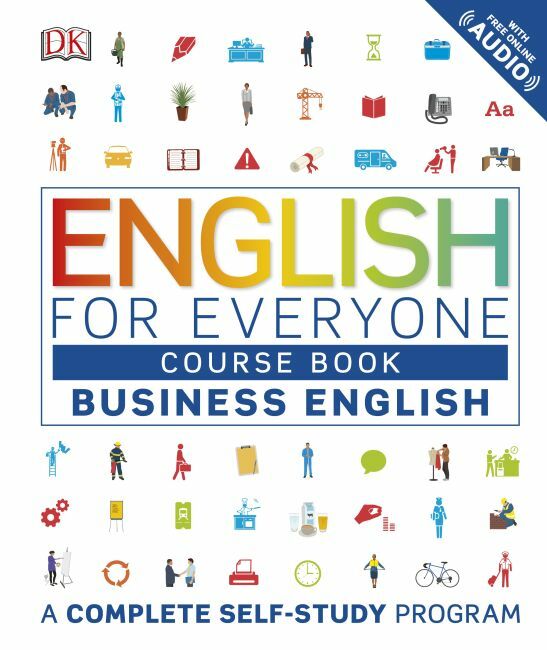 English for Everyone: Business, Course Book covers the skills and topics needed in the business world, and it matches the language standards used by the major global English-language exams, offering ideal preparation for starting, changing, and advancing your career.